Pseudomonas aeruginosa, an opportunistic pathogen, is frequently isolated from ocular infections. In this study, antibiotic resistance and biofilm formation ability of ocular isolate, Ps. aeruginosa AV2 is characterized. Ps. 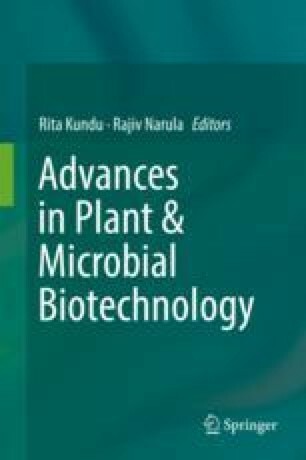 aeruginosa AV2 is shown to be a potent multiple drug resistant, biofilm former using the adherence, Congo red binding, and acyl homoserine lactone production assays. The extracellular products of the isolate show strong antimicrobial activity against interspecies ocular isolates Staphylococcus aureus, Micrococcus luteus, Bacillus cereus, and Enterobacter aerogenes. Antimicrobial activity was also found against reference strains S. aureus ATCC 25923 and S. aureus ATCC 33529. The active compounds in the cell-free extract (CFE) were characterized to be stable at 55 °C and pH 7.0 and non-proteinaceous in nature. ATR-FTIR spectroscopy peaks show the presence of amines, phenolic, and lactone groups. In the presence of the CFE, S. aureus, E. coli, and Ps. aeruginosa exhibit approximately twofold induction in biofilm type of growth. While the CFE has no effect on interspecies mature biofilms, it showed induction of intraspecies mature biofilm. The results suggest that although Ps. aeruginosa secondary metabolites may be characterized as possessing antimicrobial activity, they may in fact increase intra- and interspecies cells to adhere to substrates and form biofilms. Inter-/intraspecies microbial infections are common in the eye. Hence, polymicrobial interactions at infectious site may lead to development of microbial populations such as biofilms that are refractory to antimicrobial treatments. Financial support from Department of Science and Technology and Department of Atomic Energy, Government of India, is gratefully acknowledged. We are grateful for ATR-FTIR facility used at Indian Institute of Technology, Kanpur.